Hey Dolls! Doing good today? 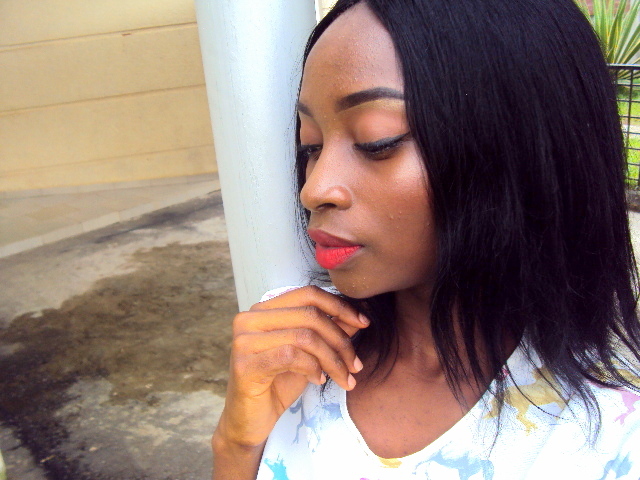 I wrote a post (again lol) on Grace‘s blog on Unforgiveness, read, share and enjoy! I made my hair yesterday, I call it channeling my inner Cleopatra and Amrezy and it cost less than 10000n (both weave and service charge) so adjust your seat and get this scoop hunnay. 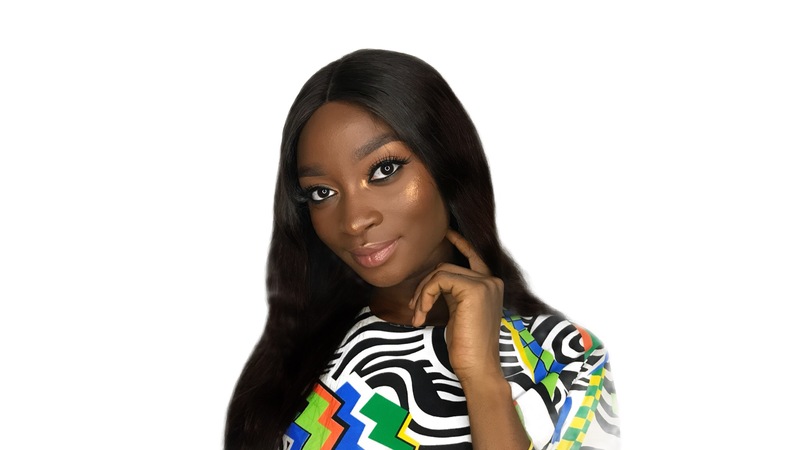 Weave – Nature HH Straight Human Hair in colour 1, 8″ for the back and 12″ for the front with an invisible lace parting at the centre. This is the first time I’d use Nature Human Hair and it’s quite nice, a little too light in terms of body and bends to your will like Chocolate Hair. I’d prefer you use Passion Hair because it has more body than this Nature or Chocolate Hair. Timing – I didn’t check the time but say less than two hours because the stylist was fast. Cost – Nature Hair 8″ is 1500n and 12″ is 3500n, Stylist charges 3000n but I paid less because I’m cute lol. Overall the hair cost less than 10000n, great bargain right? Salon – If you’ve been searching for a stylist (like I have) in Abuja then you should give this stylist at Wuse market a try, he does all kinds of fixing but he doesn’t braid. Just tell him you got his contact from Bookie and he can reduce a little for you (no promises oh). I chose not to cut the hair just because I’m still going to curl it, straighten it and style it differently from time to time, you can cut yours if you wish. If you want his contact information, send an email to hello@bookiekunlere.com and I’d send it to you. Moving on, I’m actually showing off my makeup in these pictures because I didn’t take a comb to work today so my hair is in a mess sort of. Primer – Now Foods Vegetable Glycerine. Powder – L.A Girl Pressed Powder in Caramel. Cheeks, Nose & Cupid’s Bow Highlight – L.A Colors Bronzer. Blush – Romantic Bird Duo Blush. Eyebrows – Davis Pencil in number 3. Eyebrows Concealer – L.A Girl Pro HD Concealer in Fawn (I think Toffee will be a better brow highlight then Fawn a face highlight). 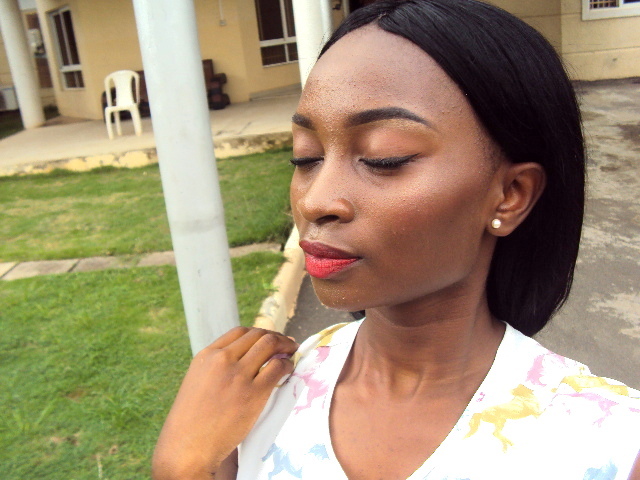 Eyebrows Highlight – L.A Colors Bronzer. Waterline – L.A Girl Gel Glide Liner in Whiten. Mascara – Maybelline Colossal Mascara. Eyeliner – Bewitching Streamline Liquid Eyeliner. Lipstick – Classic Pure Matte Lipstick in Ruby Woo. Next > My God & I | Faith. The hairstyle looks really good. I love your hair hun. You look beautiful. I love both the make up and the hair!. The weave looks so soft. I love the technique that was used to achieve the invisible part, it’s my first time of seeing this, I will give it a try whenever I don’t want to leave any hair out when fixing my weave. Thank you for sharing this tip. I didn’t know glycerin could be used as a primer, I watch make-up tutorials sometimes and I am always impressed with the cleverness of using Milk of Magnesia as a primer. Glycerin is also a great beauty hack, well done! Yay thanks darling. ☺️ Yes the weave is soft and light but sheds uncontrollably though. I’m yet to do a review on the glycerin but it’s great for dry skin but bad if you sweat a lot. Hey beautiful…😍😍 Now you make me wanna put a weave, its been forever..!! Haha ❤ I know right, mine haas been 7 months, kai. You look beautiful girl. Eyebrows on fleek. Honey! Tha glow tho. You look so beautiful. And thank you for the advice of the lashes, I wee buy very long ones lol. I like the hair tucked to the back look. No, I don’t like your hair, I love it!!! Hopefully I’l bait my eyelashes at my own stylist and he will reduce price for me hehehe. I wish o! I love it!!! Your makeup is nice too. 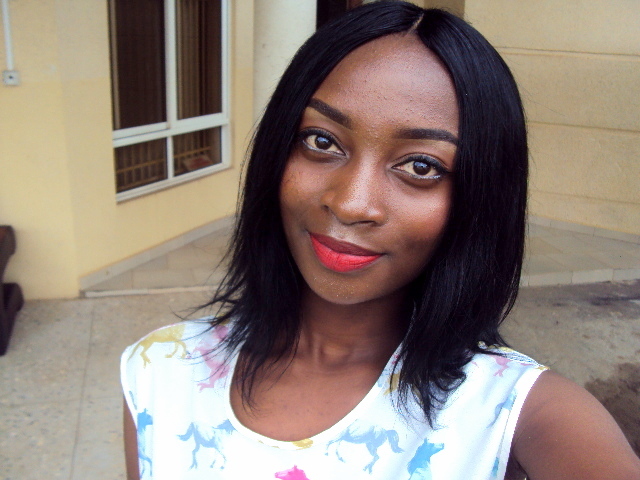 Product Review - Vitale Olive Oil Hair Mayonnaise.